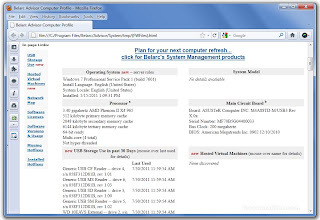 Belarc Advisor shows all the hardware and software installed on your PC right in your Web browser. 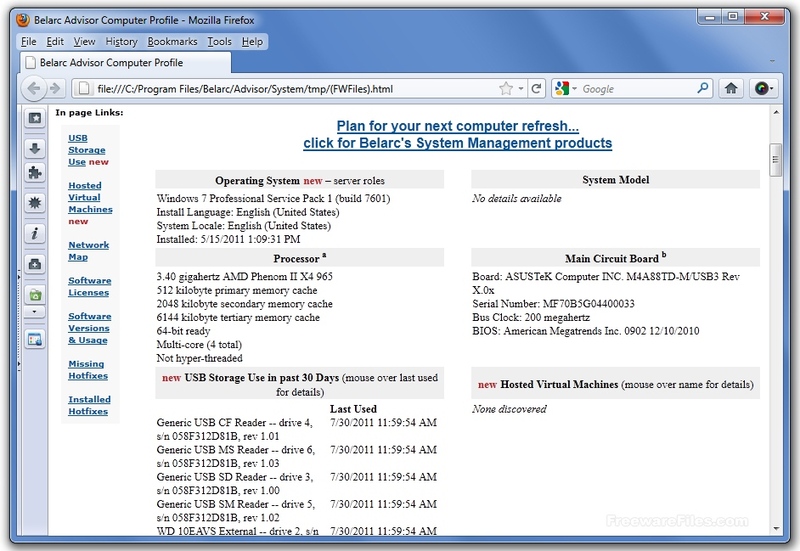 You will see personalized advice on how well software and hardware products will work with your computer, along with a detailed description of your computer profile. All of your profile information is kept in privacy on your PC and is not sent to a Web server. The program also keeps your software serial numbers.